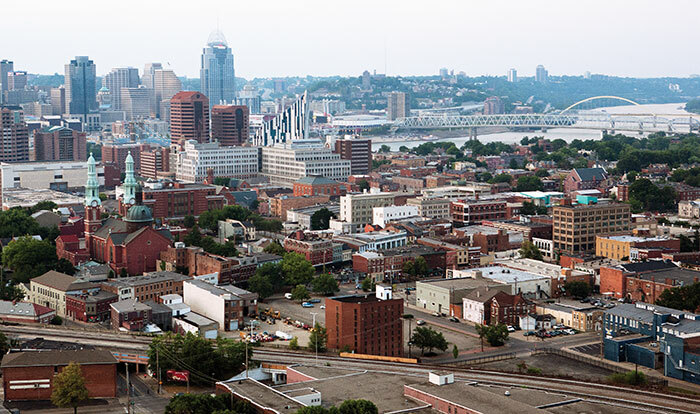 Northern Kentucky Tri-ED supports businesses from the bustling riverfront cities of the urban core to the industrial parks that are the hub of logistics and manufacturing, just 10-15 miles south of the river. 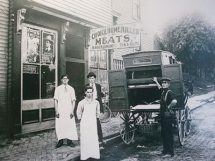 In 1987, Northern Kentucky Tri-ED was created as a nonprofit corporation to build a world-class economy through the expansion and creation of industry. Many have worked together to achieve this goal, and since Tri-ED’s founding, it’s been behind the successful relocation and expansion efforts for over 700 business projects, creating more than 70,000 jobs and realizing capital investments topping $9 billion. Now, Northern Kentucky Tri-ED is ranked among the top 15 economic development organizations in the nation, having been awarded a 2018 Mac Conway Award for Excellence in Economic Development – something that more than 5,000 organizations compete for every year. The current business climate in Northern Kentucky is strong. The region has had eight years of consistent growth and expects 2019 to be another strong year. Throughout this publication, you will find numerous examples of recent economic development wins, regional announcements, and initiatives underway in Northern Kentucky that will spur growth. More and more, companies are finding that Boone, Campbell and Kenton counties – and Northern Kentucky in general – is a great place to do business, raise a family, and experience all the region has to offer. Traditionally, Tri-ED has focused on attracting and retaining primary industries with higher employee levels. Industries such as automotive, aviation, logistics, life sciences, food and flavoring, manufacturing and financial services are still greatly important to the vitality of the Northern KY region, but the business climate and mix of companies and industries is changing. Entrepreneurs and start-ups are becoming more prevalent and our region recognizes that for continued economic success, we must take a different approach to economic development. This idea led Tri-ED to create the Northern Kentucky Entrepreneurship Council (NKYEC), a collaboration of private sector leaders and academic institutions that work with entrepreneurs and innovators in various capacities. 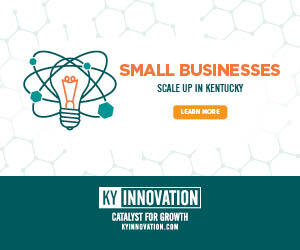 The goal of the NKYEC is to establish an innovation cluster in Northern Kentucky focused on informatics, health innovation and supply chain and logistics – all current centers of excellence in the region. To help achieve this goal, Tri-ED was awarded a $750,000 grant from KY Innovation’s RISE Program, which will be matched with local dollars for even greater impact. This is just one of the many efforts Tri-ED has undertaken to re-shape economic development and improve the overall growth of the region. Tri-ED also realizes that with continued growth comes the need for skilled and experienced workforce. The need for engineers, aircraft maintenance technicians and experienced logistics and supply chain professionals, especially, is greater than ever but like many communities nationwide the talent pipeline needs reinforcement. To fill the gaps in workforce, Tri-ED is working closely with the NKY Chamber and its comprehensive strategy, GROW NKY, inclusive of other workforce partners like the Northern Kentucky Area Development District and KY Career Center, Northern Kentucky University, and Gateway Community Technical College to increase the available workforce and fill the talent pipeline for the future. This includes marketing campaigns and programs that attract skilled workforce to Northern Kentucky as well as creating and enhancing educational programs from elementary to post-secondary institutions. Tri-ED will continue to work with these organizations and with local employers to better understand and address workforce needs. • Deepen our connection with the private sector to improve services. All the while, Tri-ED will continue to provide core economic development services including site identification and selection assistance, helping existing businesses with expansion projects, attracting new businesses to Northern Kentucky and providing support to existing companies in areas such as workforce, infrastructure, transportation, utilities, tax incentives and more. Since Tri-ED’s founding we have seen incredible growth in Northern KY, which is now home to industry leading companies like Amazon, Prime Air, Prysmian Group (formerly General Cable), Bosch, CTI Clinical Trials & Consulting, Mazak, Mubea, Perfetti Van Melle, L’Oréal, WILD Flavors, Castellini Group and more. These companies make Northern Kentucky their home for a reason: a great business climate, robust supply chain and incredible quality of place. While some might consider ‘quality of place’ to be the latest buzzword in economic development, we take it to heart. Our entire region works together to make sure we have not just a great business climate but also excellent community programs and support, a wide variety of housing options, high performing schools and universities, and a vibrant urban core. 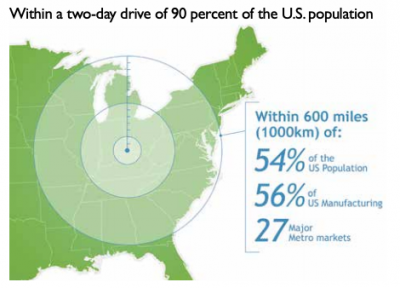 The region has become a national hub for logistics: We can reach 50 percent of the United States population within one day, and 90 percent within a two days drive. And we are just minutes from the Greater Cincinnati/Northern Kentucky International Airport (CVG), the fastest growing cargo airport in the country. The speed with which companies can reach their customers is an attractive benefit to companies located here. Our region has been rated No. 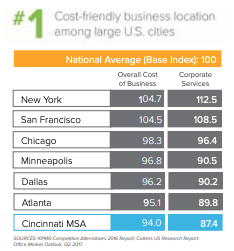 1 as a cost-friendly business location among large U.S. cities, and is in the top 10 for most favorable tax conditions. The average cost of living in Northern Kentucky is 12 percent below the national average, and housing prices are 25 percent below, making our northernmost counties a great bargain compared to similarly-sized metropolitan areas. For these reasons, among others, Northern Kentucky truly is a bridge to opportunity for the businesses that locate here and for the individuals and families that call Northern Kentucky home.  Follow us on LinkedIn (Northern Kentucky Tri-ED) and Twitter (@NKYTriED) NorthernKentuckyUSA.com to learn more.